Following the ratification of Optional Protocol to the Convention against Torture and other Cruel, Inhuman or Degrading Treatment or Punishment (OPCAT), adopted on 18 December 2002 at the fifty-seventh session of the General Assembly of the United Nations by resolution A/RES/57/199, French Parliament passed a law (loi N° 2007-1545) to set up a “contrôleur général des lieux de privation de liberté”, an independent public body in charge to control all the places where people are deprived of liberty, and check that all the fundamental rights of people in these places are. The Parliament gives him the statute of an independent public body. Four assistants, in charge of management. 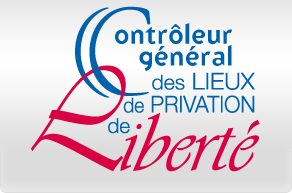 The “contrôleur général”, and all his team, are compelled to professional secrecy. They also are bounded by an absolute duty of impartiality.